Update: Full Scale Gundam Complete! – click to read more. An 18 meter tall, 35 ton, mist farting, full sized gundam is set to be the latest addition to Tokyo’s skyline, albeit temporarily. The statue will be on display in the Shiokaze Park in Odaiba Tokyo from July 11 to August 31 to mark the 30th anniversary of the broadcast of the first Gundam series. 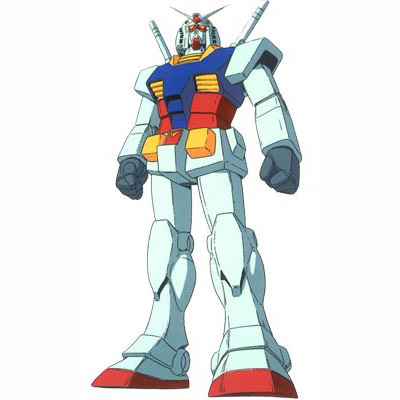 Mobile Suit Gundam’s original run was from April 1979 to January 1980. I so wish this wasn’t a temporary display but I guess it adds to the appeal of the statue and I can imagine that gundam fans from far and wide will be making the pigimage to see and take pictures of an icon. That would be a sight to be seen. look ouuut its a gundaaaaaam!!!! ahh man. Japan i tell you.. Love the place. That thing’s gonna piss off Godzilla and bring him back to Tokyo for more mayhem and destruction.